Automotive OEM coatings have come a long way since the days of Henry “Any Color So Long As It Is Black” Ford. Today the progress of a vehicle body through the modern paint shop is largely automated: the bare shell of the vehicle travels along an assembly line through the various coating steps and processes then pops out at the end, fresh from the oven and fully coated. The process takes some 15 hours, and that is just the bodywork. Automotive OEM coatings also include the interior coatings for plastic elements such as dashboards and armrests, as well as coatings for exterior plastic parts like bumpers. Recent years have seen a change in the industry towards more environmentally-friendly methods and coatings, with powder coatings and water-based coatings on the rise. In this article we look at automotive OEM coatings – how they are applied, the coating technologies used, and the manufacturers and products available in the US. Coating the bodywork of a vehicle is a long and involved process made up of many steps. The vehicle is a collection of different substrates with different coating requirements, and the coating process reflects this. The bodywork alone receives five different coating types. Here we will give a simplified look at the coating processes that go into making a vehicle. Phosphating: This first step or pretreatment involves applying phosphoric acid to the substrate, causing a reaction that coats the substrate in a thin, dense, uniform layer which is easier to adhere to. This layer also begins the build up of anti corrosion protection. Cathodic electrocoating: The combination of the e-coat and the phosphating is what gives the substrate its rust and corrosion resistance. In cathodic electrocoating the car body is immersed into a paint in an aqueous suspension (dispersion), usually an epoxy-polyurethane. An electrical current is then applied so that the paint adheres to the substrate and forms a consistent layer of corrosion protection, durability, and toughness, even in difficult-to-reach cavities. The coating is then baked on in an oven. Primer coat: This coat evens out any irregularities of the electrocoat and promotes adhesion between the e-coat and the topcoat. It also provides all-important stone chip resistance, protecting the underlying layers and the metal from damage from road debris and resulting corrosion. Primers come in solvent-based, water-based, and powder forms, and are most commonly polyurethane-modified polyesters and epoxy resins. Base coat: The base coat and clear coat combined make up the top coat layers. The eventual color of the vehicle is provided by the base coat (including solid color, matte, pearlescent, and other special effects) and then the clear coat seals in and protects the base coat. Clear coat: The automotive clear coat protects the underlying coating and pigments from environmental etch, UV radiation, chemical attack, scratches, and bird droppings. They are the first line of defense as well as the smooth, glossy final appearance. Clear coats come as 1K, 2K, or powder (though they are predominantly liquid) and coating technologies such as acrylic or polyurethane. 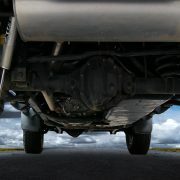 The underbody needs protection from road debris to prevent unseen problems. Commercial vehicles are multi-passenger or goods transporters, such as vans, coaches, buses, trucks, and semis. They are intended for long hours on the road, day-in, day-out, and the coatings need to be able to withstand this use. Fleet owners determine the requirements of their coatings by assessing at the conditions their assets and their automotive clear coat will be exposed to and the intended service life of the asset. A vital factor is durability, as well as corrosion, UV, and chemical resistance. A commercial fleet also needs to be recognizable, so a color coat that is unique and eye-catching as well as easily repairable is also highly important. Keeping off-road time and inconvenience to a minimum is a key requirement. A soft touch plastic coating is a popular choice as it enhances the driving experience. When we think of automotive paint it is the bodywork that immediately comes to mind, but there are many other surfaces in a vehicle that are coated: wheel, interior and exterior trim, door handles, climate control bezels, speedometer housings, just to name a few. While the exterior of a car may sell based on a combination of looks and performance, the interior is sold on “feel”- comfort, noise level, aesthetic appeal, ergonomics, durability, and touch all influence the buyer. The plastic substrates are mostly interior, aside from the bumper, and these automotive interior paints are often polyurethanes. Polyurethane provides a soft-feel coating for those surfaces most often touched, in one and two components and a range of colors and effects. Other properties include abrasion and chemical resistance, eco-friendly formulations, and resistance to weather and thermal cycling. Under the hood coatings are commonly extremely durable powder coating. 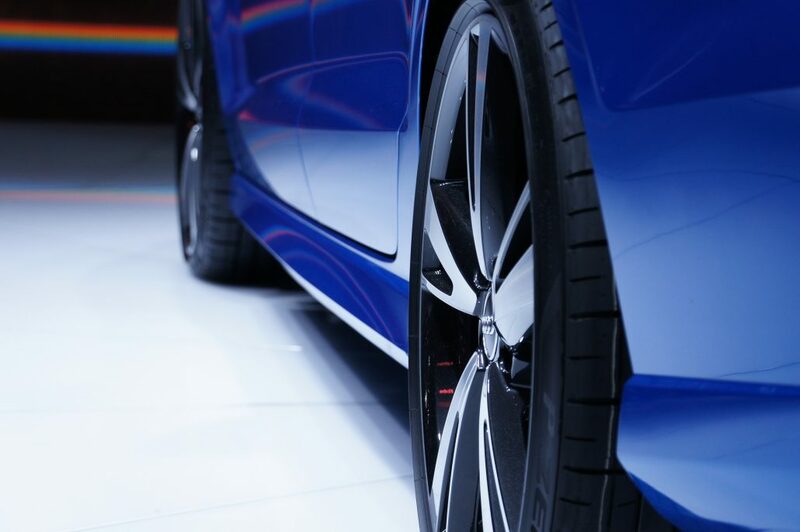 The top automotive OEM coatings companies in the US are AkzoNobel, PPG, Axalta (DuPont), Sherwin-Williams, and BASF, though there are many companies who specialize in different OEM coatings such as Covestro or Sika. The market is rich and varied. These companies form partnerships with auto manufacturers for OEM application, or provide refinish paints to applicators. As environmental regulations are tightening, these manufacturers are finding new ways to improve the hazardous elements of their products such as VOCs and chromium. If you would like more information about automotive OEM coatings, get in touch! From phosphate to automotive clear coat, our experts are here to help you with your project. In collaboration with our coatings partners, we will connect you with the coating solution for your needs. Simply use the button below and tell us a little about your project to get the ball rolling – our quotation service is 100% free!